14K SOLID GOLD: This product is made of solid 14K gold and each piece is carefully trademarked with the metal purity for certification. Each piece is stamped 14K or 585 and that guarantees the quality and craft. DESIGN & FINISH: We understand gold and we really understand the manufacturing process of precious metal. Each Link is carefully designed and made to create that smooth continuous Link. This necklace is a classic design and would make a statement piece for all. MADE IN ITALY: These chains are made in Italy, home of the original artisans and craftsmans from the beginning of time. Treat youself or a loved one to a gift from Italy, where the highest level of Luxury is found. 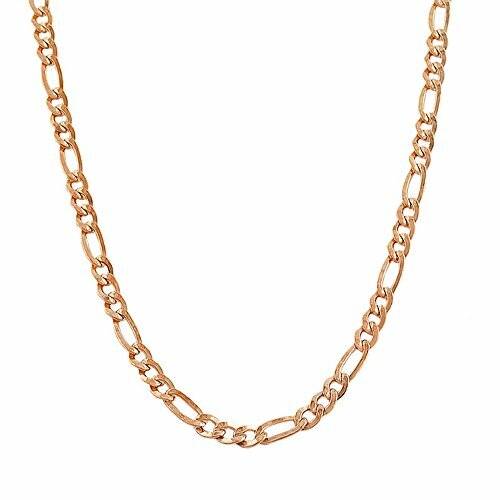 SIZES & COLORS: This Link necklace is available in 7,10,16,18,20,22, 24" in Yellow, White, and Rose Gold. High Polish 14K Yellow Gold Bull Pendant Taurus Zodiac Sign Charm Necklace, 22"